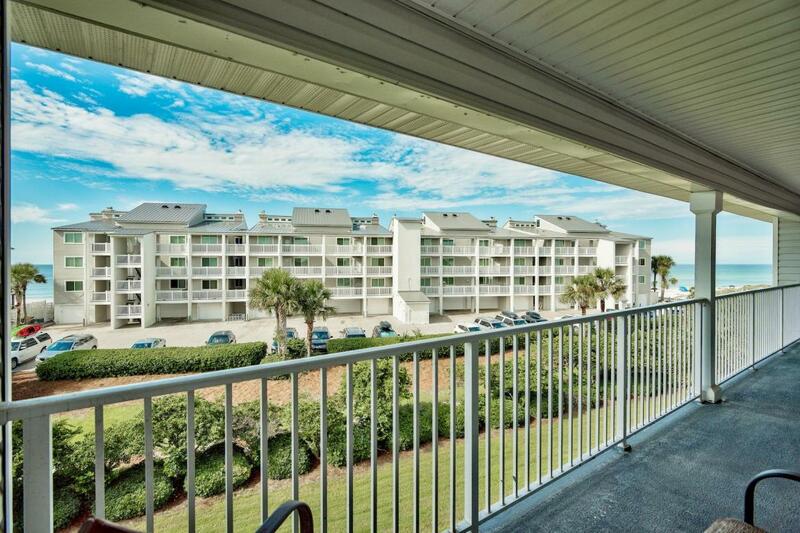 Prime location in the closest building for sale to the beach in Beachside Villas! This amazing three-bedroom, two-and-a-half bathroom condo on the top floor with Gulf views is being sold fully furnished and rental ready. The open living, dining and kitchen are great for entertaining. 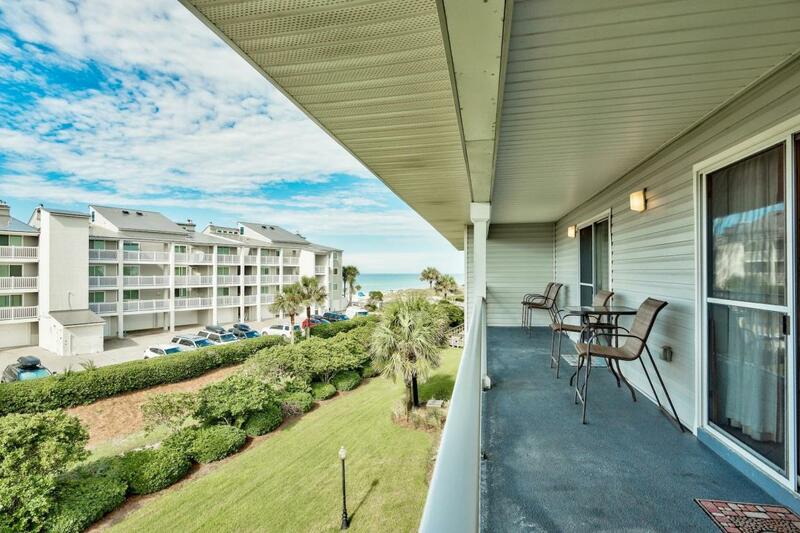 Enjoy hearing and seeing the waves of the Gulf from the large balcony. Updated furnishings will greet you and your guests on your beach vacations. The unit has a full-size washer and dryer as well. Tile floors run thorough the living areas. 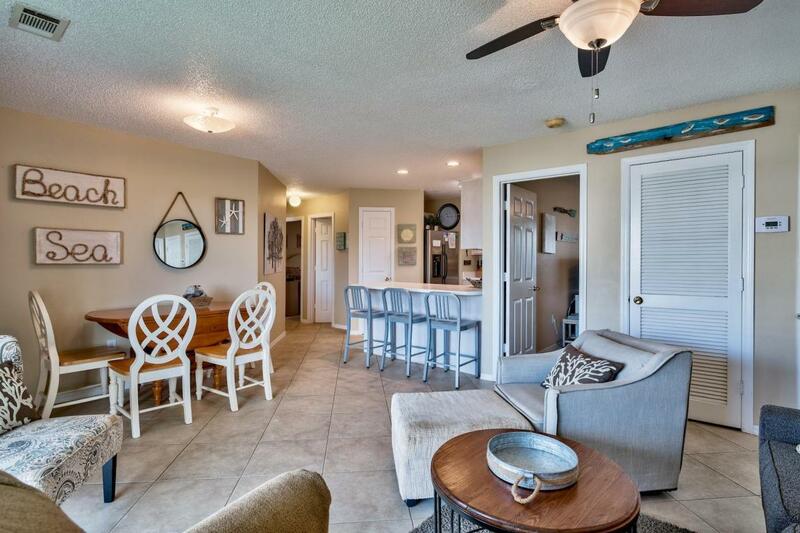 Beachside Villas has two community pools (one seasonally heated), tennis courts, shuffleboard and excellent proximity to the white sandy beach. 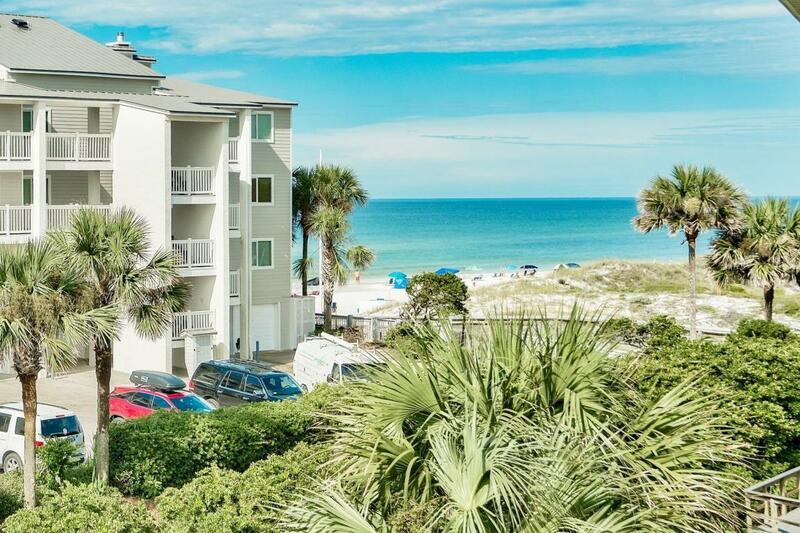 Enjoy shopping and dining in Seagrove and nearby Seaside.